Besides the website and apps, Windy offers API for developers to build their apps on top of Windy. We are happy to introduce you to Tedde de Boer, the developer who built the Follow My Challenge GPS tracking service for adventurous people to track their challenges. Enjoy the interview. What's the idea behind Follow My Challenge? It is in our nature to challenge ourselves. The Follow My Challenge community consists of challenge-seeking adventurous people. People who would like to do extraordinary things, break world records, push their limits. Many times these challenges are combined with fundraising for a good cause. Modern technology allows us to keep track of every move. It allows us to join people, virtually, on their great adventure or challenge. How Follow My Challenge started? When we launched our first tracking map it was just a basic Google Maps application. 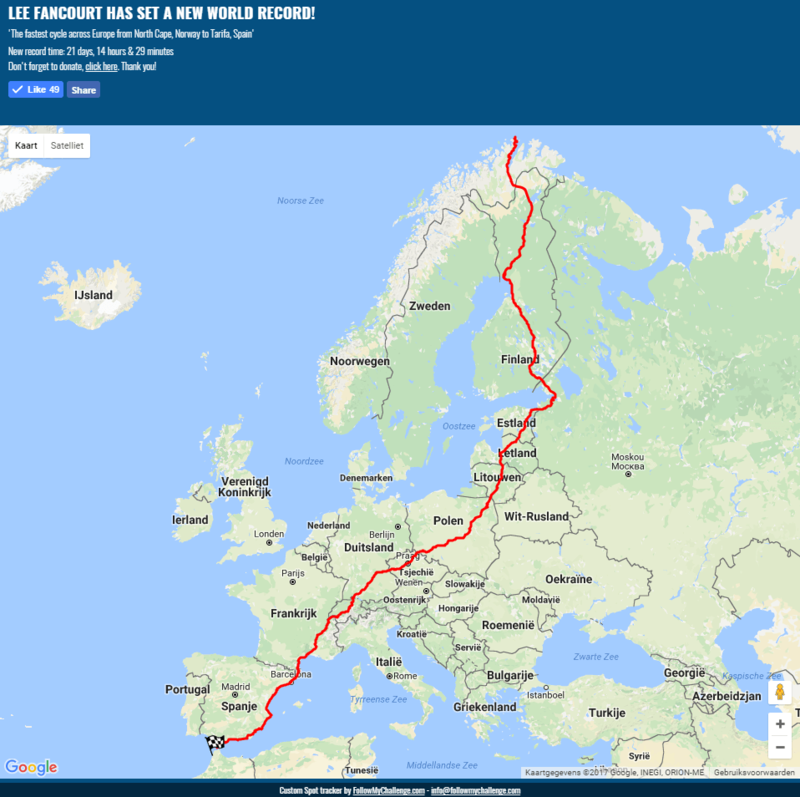 We tracked a record breaking bicycle ride from the Nordkapp (Norway) to Tarifa (Spain). This ride drew much attention, and before we knew it we were asked to track more and more challenges. And Follow My Challenge was born! We started to add more and more functionality. A lot of details, calculations and graphs. The maps even got enriched with photo’s displayed at the exact location where they were taken. 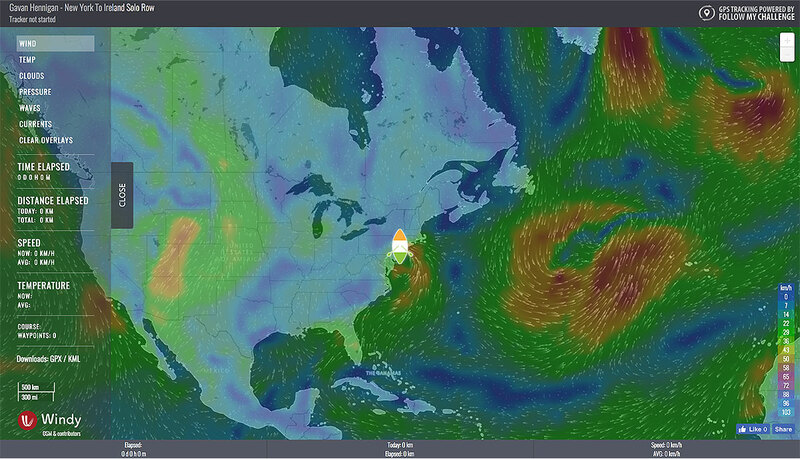 ...and you've also integrated Windy weather layers, right? At this point we were mainly tracking cycling adventures and record attempts. By the time we got noticed by SUPers, swimmers, sailors and rowers we knew that something was missing. That’s where the Windy API came in. 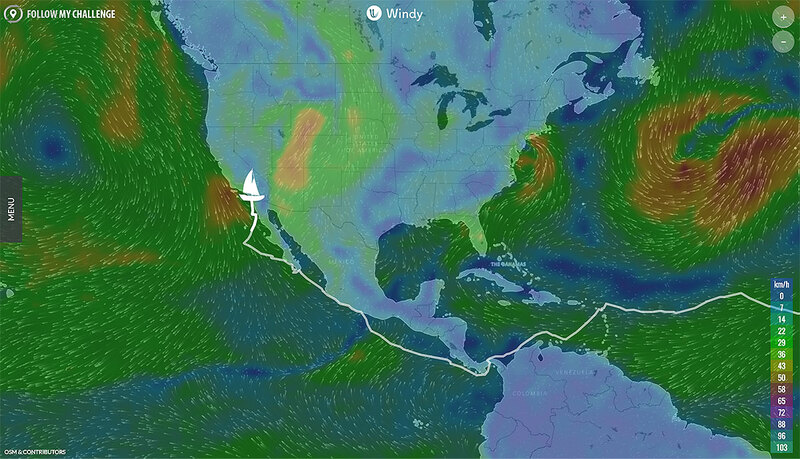 The Windy API allows us to make the GPS tracker really come to life. You can now not only see the actual position but also how the waves are behaving or the wind is blowing. It enriches your experience being able to see the actual conditions in real-time. Is someone swimming against the currents or sailing with smooth winds? You can find out! What was the first tracker built on top of Windy? 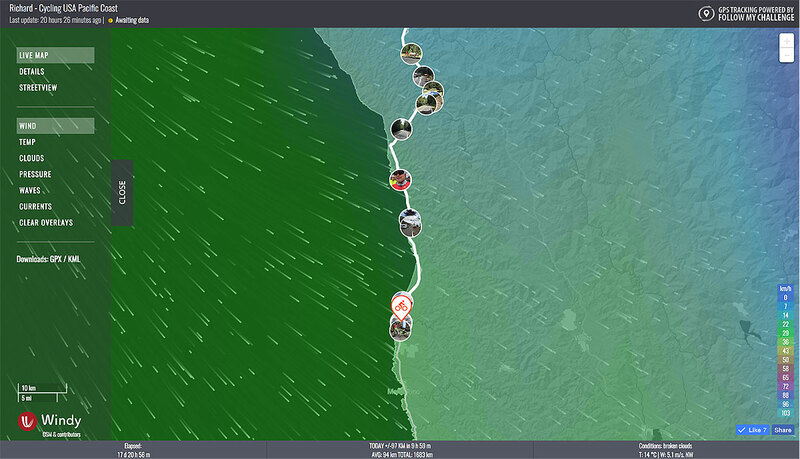 We developed our first tracker based on the great animated Windy layers for The Longest Swim, which is a 5500 mile swim challenge from Tokyo to San Francisco accomplished by Ben Lecomte. We are currently tracking the support vessel for The Longest Swim on its way to Tokyo. Let's say I'm that kind of adventurous person. 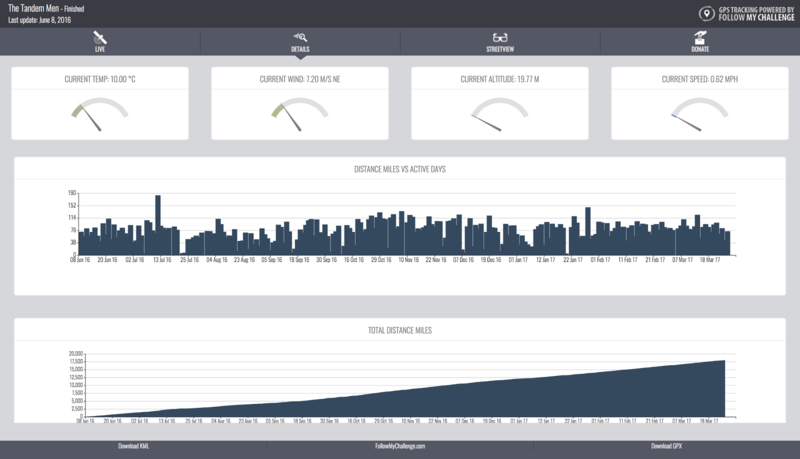 How can I create my own tracker with Follow My Challenge? 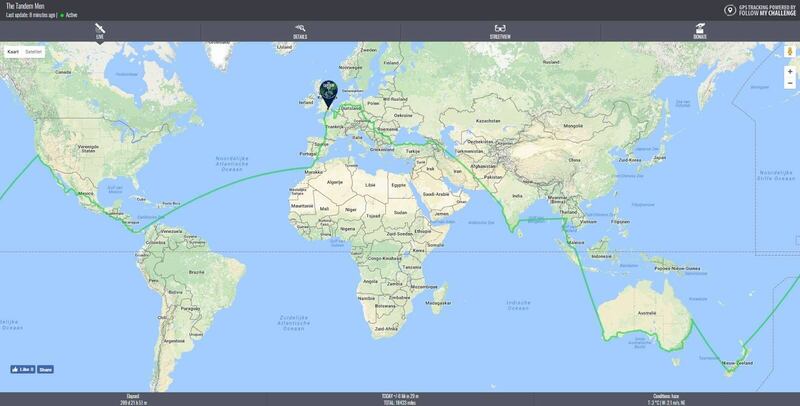 We believe that every challenge is unique and therefore deserves a unique live GPS tracking map. Like our live GPS tracking software we are flexible! We love to customise the GPS tracker to suit your challenge. Going on a challenge? Get in touch!